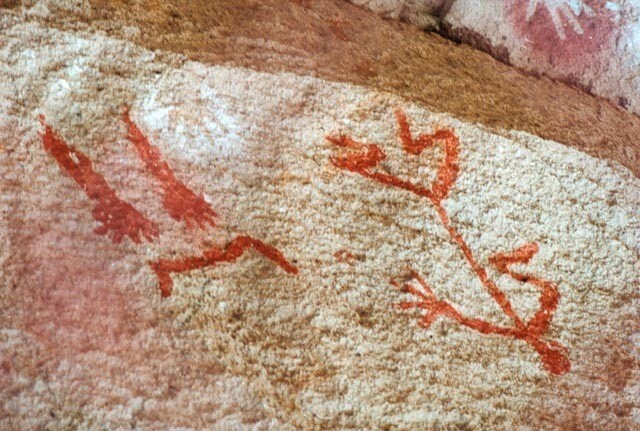 Antique hand-shaped paintings are faithful representations of our ancestors in the Patagonia. 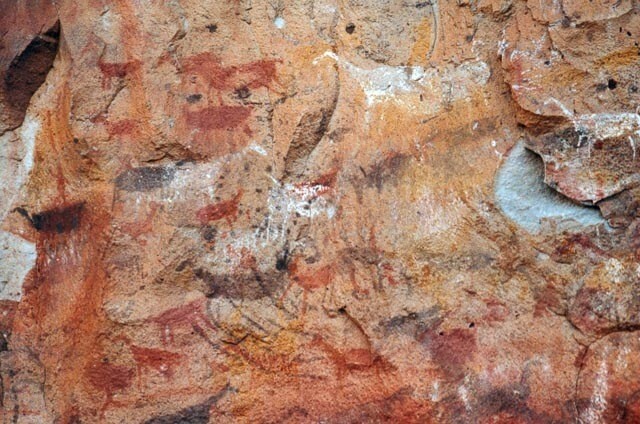 Inside "The hands cave" and in the "La Maria" farm extension (both in Santa Cruz) you will find these hieroglyphic paintings made 12,000 years ago. 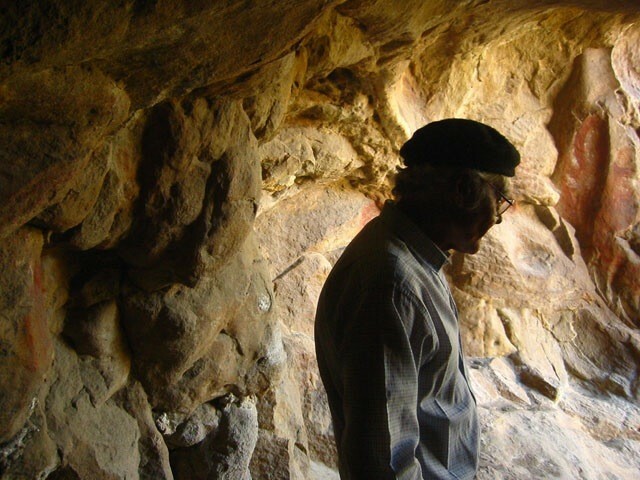 The remainigs of the Patagonias history are within anybody’s reach. 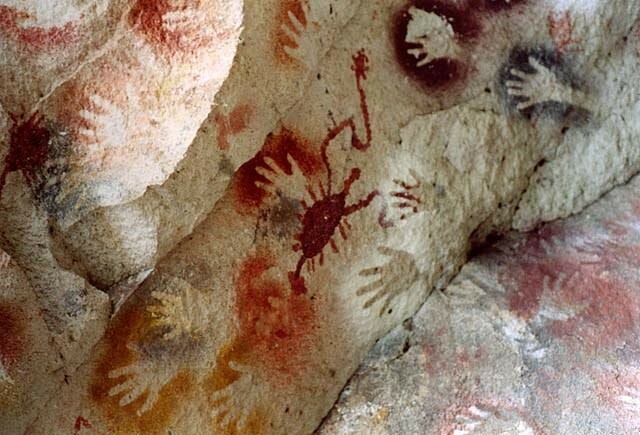 You shall find them in the Santa Cruz province. 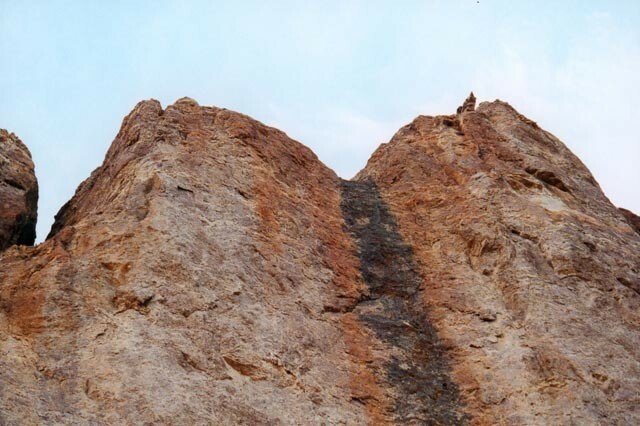 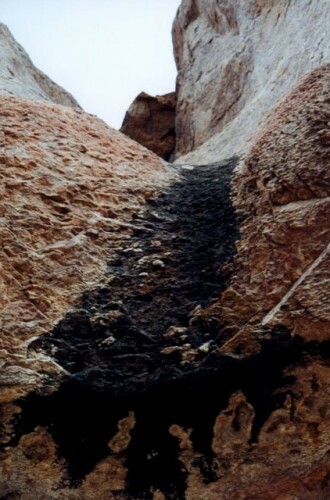 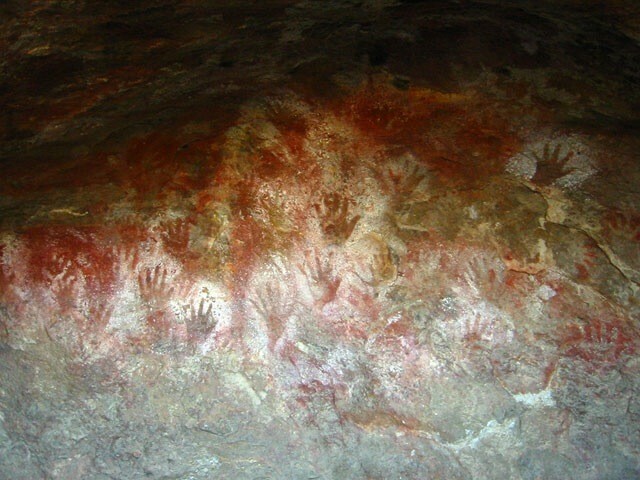 You will see hands paintings dating from 9,000 to 12,000 years back. 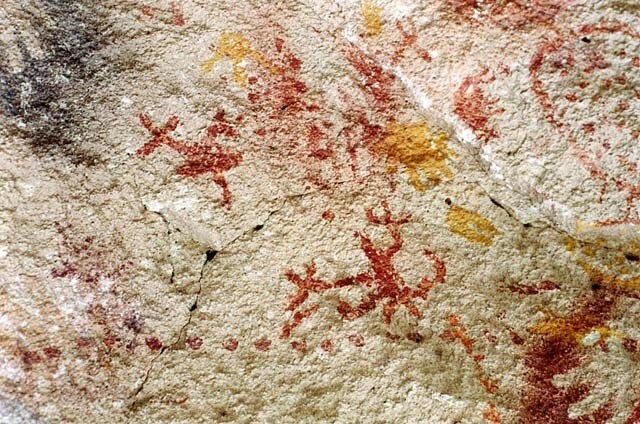 Some paintings are found in the "La Maria" estate in the middle east of Santa Cruz. 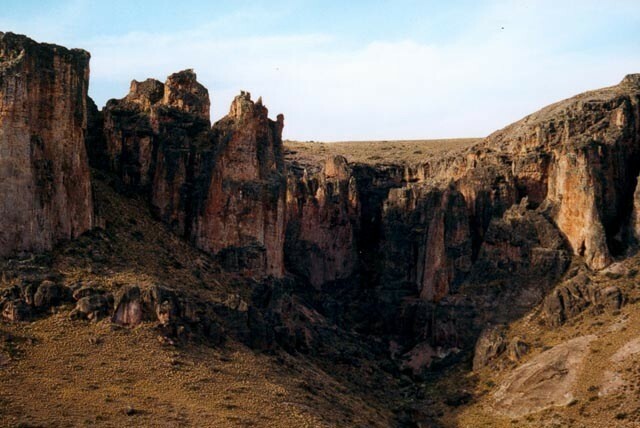 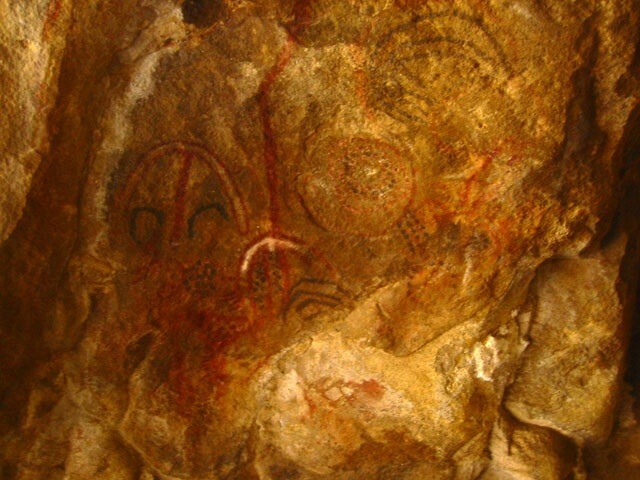 The "cueva de Las Manos" (hands cave) is located alongside the river known as the Paintings river (northeast Santa Cruz). .
"La Maria" estate holds an incredible amount of paintings distributed in more than seventy-five caves. 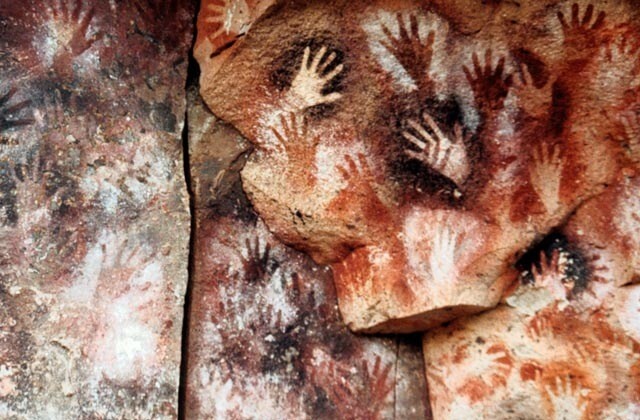 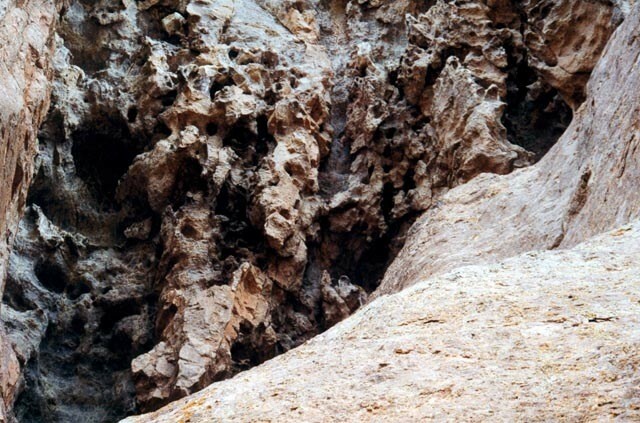 The paintings where made more than 12600 years ago by the first habitants here. 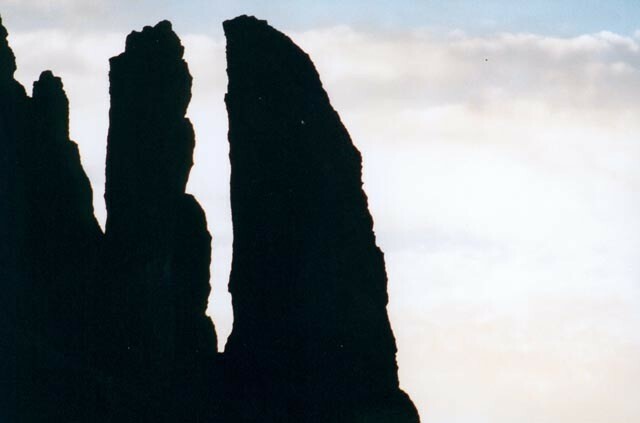 The techniques used in most cases is the same used by photocopiers. 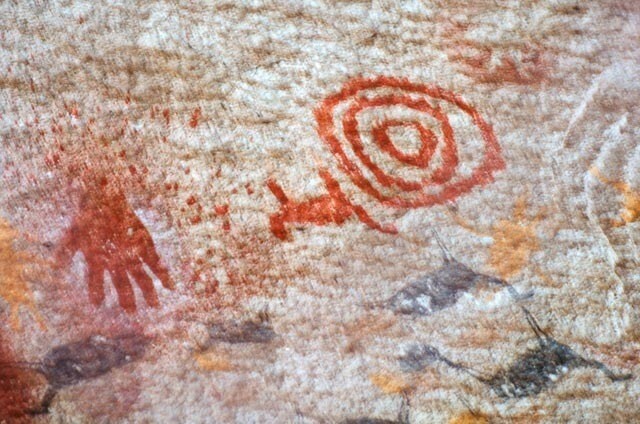 Even dough in the "Cueva de las Manos" (hands cave) mostly the same techniques are used; the paintings here date 9,300 years back. 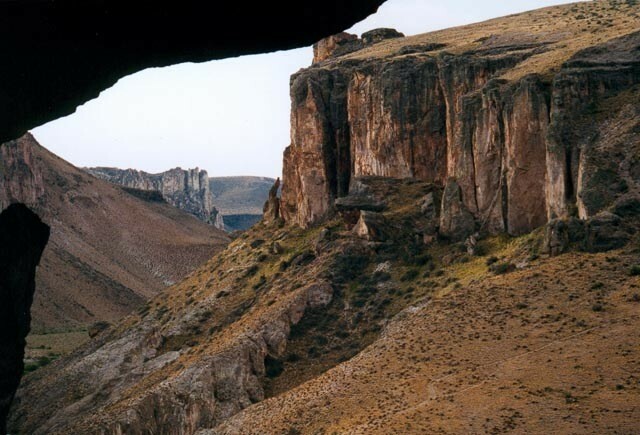 In 1999 U N E S C O declared this caves one of Humanities Cultural Ownerships and Interest site due to its archaelogical importance. 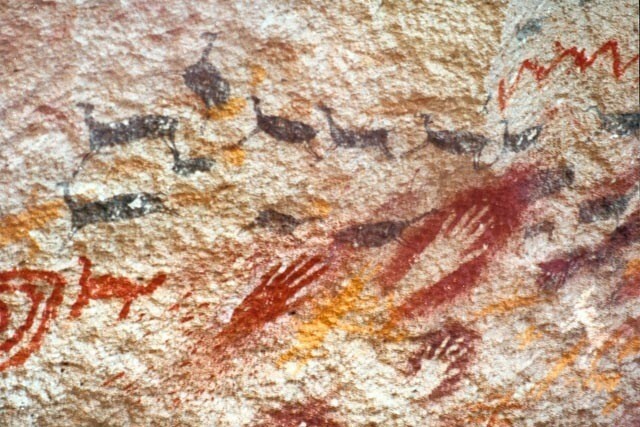 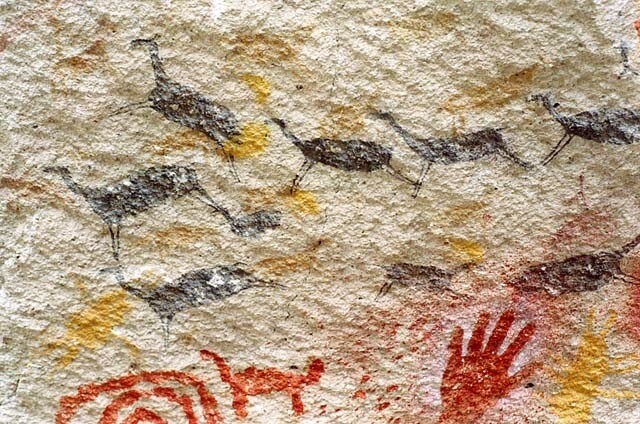 Besides the 729 hands printed in the walls of the cave, scenes sowing humans hunting animals depict the ways of the era.